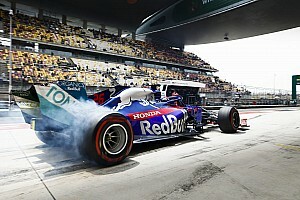 Bottas realised that pitting both cars on the same lap would ensure that there would be no change in the order over the rest of the race, and he was also worried that he might lose time waiting behind his teammate. 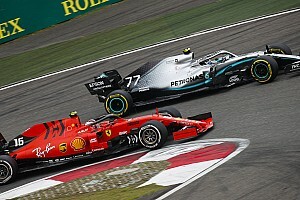 However, Mercedes pulled off an impressive double stop, with the drivers entering the pitlane just five seconds apart, while Bottas lost just half a second relative to Hamilton. 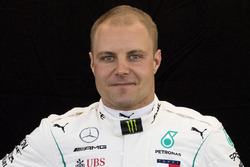 "I was very concerned," said Bottas. "You know you're going to lose time being the car behind, but it was due to the start that I was in that position. 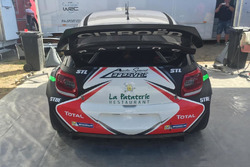 I was questioning the team – if if I could stop later, or carry on without stopping – but there was too big a risk in terms of tyre life, if we can make it or not. 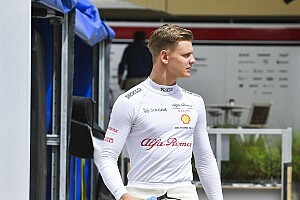 "I was questioning because if I could do something different, other than stopping behind Lewis, that was going to be my only chance to win the race. I knew if we were [both] coming in, that's going to be pretty much it unless something crazy happens. "But I'm glad the stop went well. I lost some time, but minimal, so the team did a good job on that. And now, seeing all the data just briefly, from the team's point of view I think it was definitely the right thing to do, to make sure we were going to be one-two. "For me, I maybe wanted to take the risk but now, looking at it, I don't think the tyre wear would have been enough." 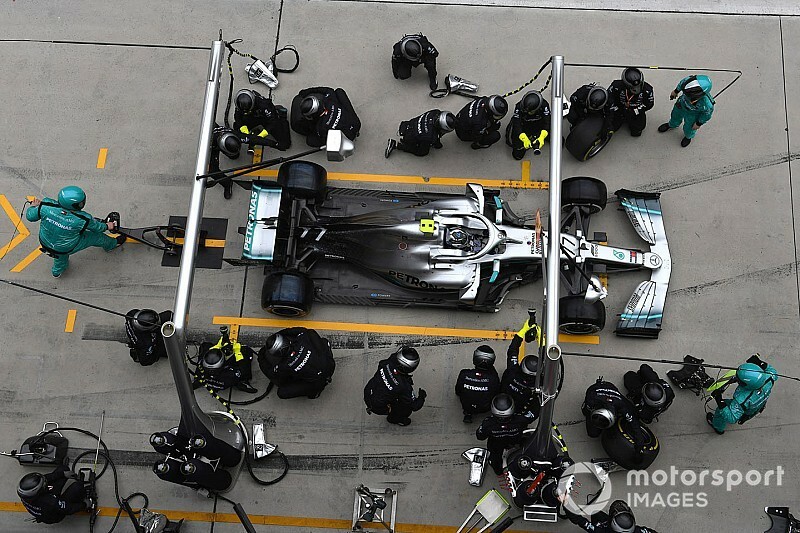 Mercedes team principal Toto Wolff confirmed that the team wanted to protect Hamilton's lead. "It was an interesting situation because it was clear that Valtteri was under pressure from Sebastian," he said. 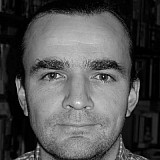 "So if Sebastian would have stopped he would have undercut Valtteri, so the logical choice is to stop Valtteri first. But if you would have stopped Valtteri, then he would have undercut Lewis. "So we didn't want to interfere with the order, so that's why we decided to stack. 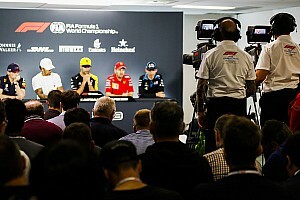 We knew we just about had the gap to stack them properly and gave the commitment to Valtteri that we wouldn't lose him any time, and it was really impressive how the guys did it."